Hi all! Hope your week has treated you well! 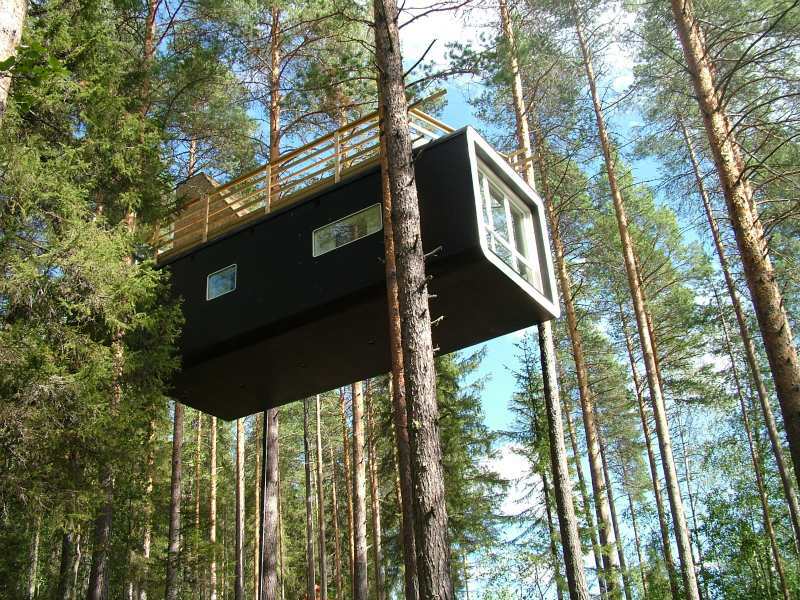 This is just one of the five “tree-houses” that you can book for your stay! So cool! Built on the pillars of green architecture and conservation these amazing, modern structures seem to float midair among the tree tops. 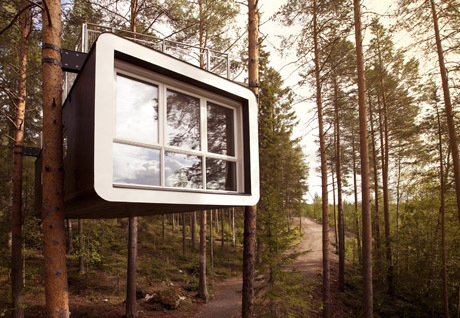 Talk about getting away from it all…literally! The Treehotel guests enjoy an amazing bird’s eye view of the world. Leave all your stress on the forest floor. 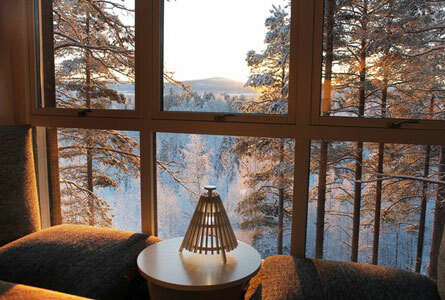 I could spend all day in bed with a good book, gazing out through the forest. So peaceful, right? Guest enjoy showers, hot meals and other modern amenities at the main lodge (on the forest floor) complete with warm and friendly hospitality! What an amazing experience! 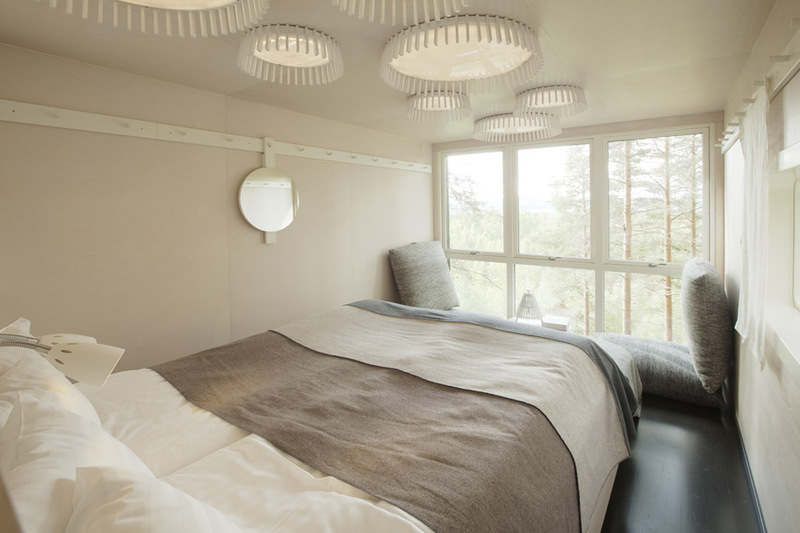 I just love seeing such creative use of materials and space! Go check out all the rooms and more information here.